“Even in tough times, visitors are still buying fudge and our fudge sales have grown through the recession with the help of Calico’s promotions and support. To be able to say we make our own unique product has driven visitors through the door who naturally buy other items too. It has also kept us apart from our rivals”. 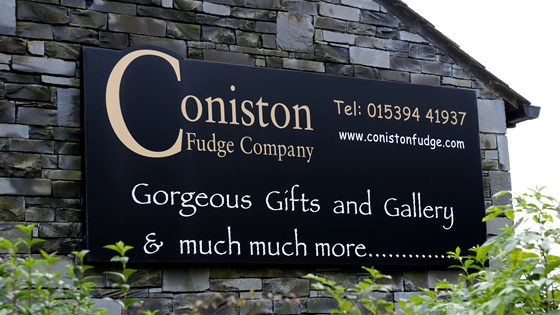 Phil put the Calico fudge programme into his then Post Office 10 years ago and it is now his most profitable item selling in excess of 4 tonnes of fudge between two outlets, the Post Ofice is now an Artisanal food and gift store and the other is a gift shop and gallery. 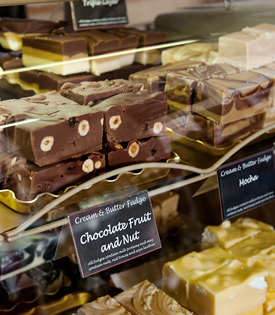 Fudge sells at nearly 5 times its cost and even though his post office has just 1 metre of fudge on display, it generates a very high proportion of his profits. 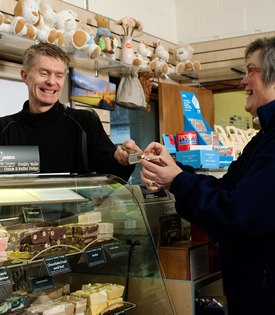 Many customers make fudge in front of their visitors to create an attraction but some like Phil, make it behind the scenes as they are simply too busy selling it!